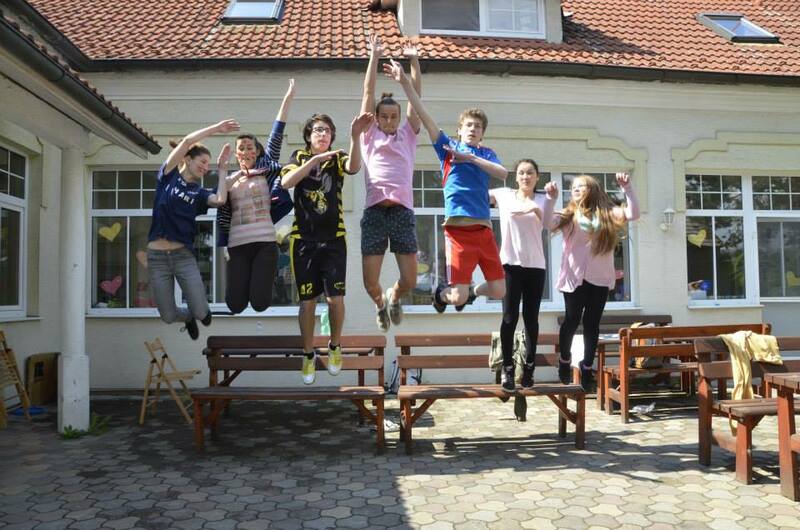 By Martin Alexy, Luzna, Slovakia, May 2 2015: DONE Mission One and ESGD (European Second Generation Department) worked together in order to organize and host a workshop for Eastern European HARPies. The theme of the workshop was “HE4RT,” focusing on four elements: developing a healthy heart, the loyal heart of a child towards a parent, the pure heart between brothers and sisters, and a giving culture of heart. Participants came from Slovakia, Hungary, the Czech Republic, and Austria. With the staff and participants together, there was quite an international group with nearly 60 people from 11 countries around the world. Although the workshop took place over only three days, a beautifully powerful environment built up quickly where we all felt open to express ourselves on a deeper level. We had variety of lecturers – elder 2nd gen Patrick & Yebuny; then also Valerio, Jourie, Julia, Clemens, Juli and Dominique from DONE. Schedule gave everyone the opportunity to choose a creative group to participate in. The options were dancing, singing, art, board games, and football. We could express ourselves creatively during this time while also having some time to bond with one another and build friendships. Evening program offered a lot of personal stories shared in testimonies by DONE members. Topics ranged from building self-confidence through finding the right friend group to having the skills and patience to constantly build healthy parent-child relationships. The main event of the second day was the challenge day. Teams were challenged physically, mentally, and spiritually over seven stations through activities like a push-up challenge, mind games, and trust falls. Each group was pushed to work together in order to accomplish the tasks. 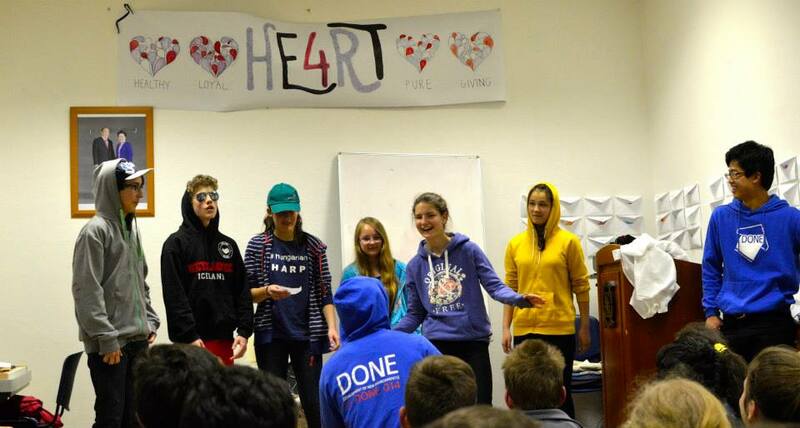 Each challenge was related to the workshop motto of developing different areas of the heart. At the end of the day, there was a campfire and a family evening where teams presented skits and individuals were given the opportunity to share their talents with the group. On the last morning, a small graduation ceremony was held, and staff shared their reflections on the workshop. There was so much accomplished in such a short amount of time, and we all were able to reach an unexpected level of depth in our relationships. Find more photographs on ESGD Facebook. We hope to see you all again next year! Next story Cheongpyeong Workshop had An Exciting Sports Festival!